Less noticed but no less important than the reported arrival of Russian mercenaries in Venezuela has been the influx of Russia Wagner Group “private military contractors” (PMC) in Khartoum to help local security forces shore up the embattled regime of Sudanese President Omar al-Bashir. The leader of this northeast African state is clinging to power in the face of nation-wide protests against his rule. The demonstrations started on December 19, 2018, over a three-fold increase in bread prices after a shortage of foreign currency forced the government to cancel foreign wheat purchases. Accusations are rampant that some of the hundreds of arrested protesters have been tortured and compelled to confess membership in terrorist groups (Middle East Monitor, January 14; Sudan Tribune, February 3). Over forty protesters have been killed in the demonstrations, with the president blaming the deaths on “infiltrators” from the Sudan Liberation Movement of ‘Abd al-Wahid al-Nur (SLM/A-AW), a Darfur rebel movement active since 2003. 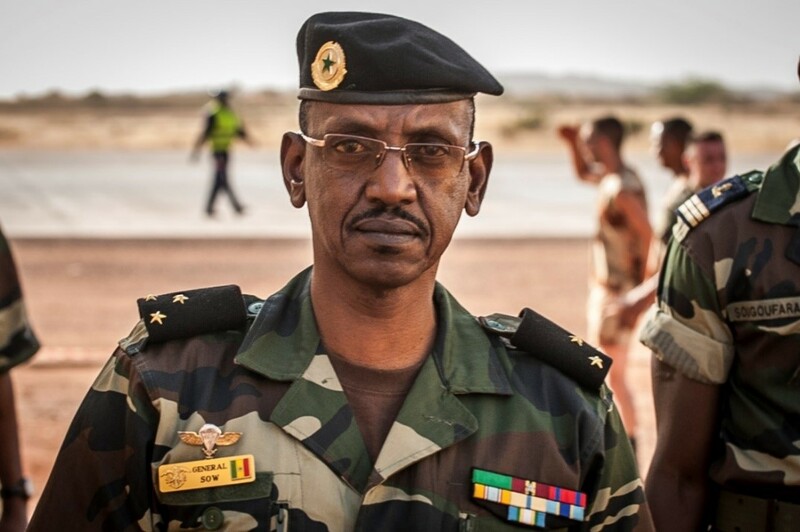 National Intelligence and Security Service (NISS) chief General Salah ‘Abdallah Gosh accused Israel of recruiting the Darfuris to disrupt the Sudanese state (Sudan Tribune, January 21). Al-Bashir is wanted by the International Criminal Court (ICC) on charges of genocide, war crimes and crimes against humanity related to his repression of the revolt in Darfur. Russia was a signatory to the treaty that created the ICC but never ratified the agreement. In November 2016, Russia withdrew its signature, ending its involvement with the court (TASS, November 16, 2016). Ignoring the ICC travel ban on al-Bashir, Russia has hosted the Sudanese head of state twice: once in November 2017 and again in July 2018. When al-Bashir made an unannounced visit to Damascus last December, he travelled by a Russian military aircraft (RT—Arabic service, December 18, 2018). Russia is interested in the oil, mineral and financial sectors of the Sudanese economy and the establishment of a naval facility on Sudan’s Red Sea coast (see EDM, December 6, 2017). 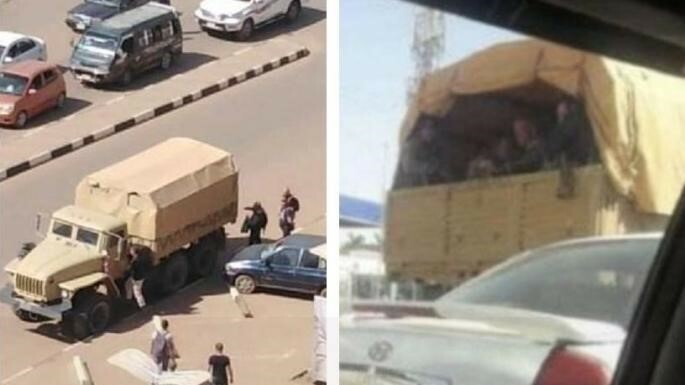 In January 2019, The Times published photos of men alleged to be Russian mercenaries being transported through Khartoum in a Ural-4320 utility truck, widely used by the Russian military and Russian PMCs. The report also cited witnesses who claimed Russians forcibly dispersed protesters (The Times, Newsru.com, January 10). Local sources state that the Russian contractors are training the special operations forces of the NISS, Sudan’s powerful secret police organization (Sudan Tribune, January 8). Vasyl Hrytsak, the chief of the Security Service of Ukraine (SSU), claimed that his agency had obtained the travel documents and passport data of 149 Wagner Group personnel who “directly partook in suppressing democratic protests in Sudan in early 2019.” The SSU alleged that Wagner mercenaries had been transported to Sudan on Tu-154M airliners belonging to the Russian Ministry of Defense (Unian.info, Gordonua.com, January 28). The deployment was arranged by Yevgeny Prigozhin’s M Invest LLC, which obtained gold mining concessions in Sudan during al-Bashir’s 2017 visit to Sochi (Government.ru, November 24, 2017; The National, December 17, 2018). A spokesperson from the Russian embassy in Khartoum declared that the Russian “experts from non-government structures” were not involved in suppressing the protests, adding that reports to the contrary in Western media were “outright fakes seeking to demonize our country and its foreign policies” (Reuters, January 15). Russia’s Ministry of Foreign Affairs confirmed, on January 23, that Russian military contractors “who have nothing to do with Russian state bodies” were operating in Sudan. According to the foreign ministry, their work was confined to “training staff for the military and law enforcement agencies of the Republic of Sudan” (Reuters, January 23). The statement contradicted an earlier one by Sudanese Interior Minister Ahmad Bilal Osman, who described reports of Russian mercenaries in Khartoum as “completely false… a mere fabrication intended to offend the government” (Middle East Monitor, January 14). In late July 2018, there were reports of a group of 500 Russian mercenaries operating in a camp some 15 kilometers south of the Darfur town of Um Dafug, close to the border with the Central African Republic (CAR) (Radio Dabanga, July 31, 2018). 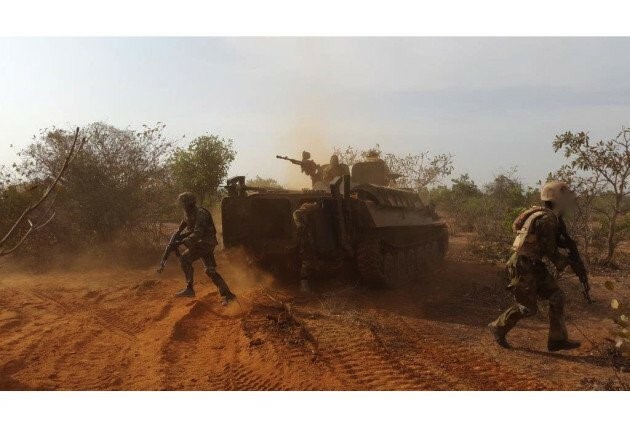 Russian mercenaries were reported to have spent five months in the area training both Muslim Séléka rebels from the CAR and Sudanese troops. The bulk of these forces were said to have departed from the region in late July 2018 (Radio Dabanga, August 1, 2018). What is most astonishing in the context of the Kremlin’s hostile action against the U.S. and deliberate sabotage of your electoral process… is the soft pedaling towards al-Bashir’s overtures to Moscow… When Russian mercenaries fresh from Syria and Ukraine now have a foothold in both Darfur and the Central African Republic, with a mission agenda entirely contrary to that of U.S. Africa Command… your ill-considered policy towards Sudan is self-evidently not serving you well (Sudanjem.com, December 19, 2018). Major General Al-Hadi Adam Musa, the head of Sudan’s parliamentary defense committee, said that a draft military agreement made with Russia in early January “will pave the way for more agreements and greater cooperation… possibly a Russian base on the Red Sea” (Sputnik, January 12; Sudan Tribune, January 13). The general noted that Russian naval visits could provide the sailors of Sudan’s tiny navy of Iranian and Yugoslavian-built patrol boats with training and “first-hand experience of Russia’s cutting-edge military equipment…” The agreement will allow for shore leave by unarmed naval personnel, but it forbids visits by ships carrying nuclear fuel, radioactive substances, toxic material, drugs, biological weapons or weapons of mass destruction (Sputnik, January 12). Since its 1971 show trial of German mercenary Rolf Steiner, Sudan has maintained strong opposition to the presence of European mercenaries in Africa. While al-Bashir appears to have reversed Sudan’s position, it seems unlikely that the regime would squander what is left of its political capital by deploying white mercenaries against unarmed Sudanese on the streets of Khartoum. Such direct intervention could set back Moscow’s growing role in Africa, though Russia will likely do all it can behind the scenes to preserve a regime that has proved highly accommodating to Russian interests. This article was first published in the February 6, 2019 issue of the Jamestown Foundation’s Eurasia Daily Monitor. Sudden Russian interest in the resource-rich Central African Republic (CAR – the former French colony of Oubangui-Chari) has raised questions regarding Moscow’s intentions in the violence-plagued nation. As much as 80% of the CAR is not under government control. A new burst of violence earlier this month included attacks on churches and mosques that resulted in 19 deaths and left over 100 wounded (AP, May 2). Thousands have been killed and nearly half a million people displaced since 2013. Fighting has escalated since the French ended a three-year military mission (Operation Sangaris) in October 2016. The operation, the seventh French military intervention in the CAR, ended amidst accusations of sexual violence by French troops, though Paris pledged to keep 350 troops inside the CAR as a “tactical reserve” while remaining ready to intervene with a larger force “at very short notice” (Deutsche Welle, October 31, 2016). Responsibility for security was turned over to the Mission multidimensionnelle intégrée des Nations unies pour la stabilisation en Centrafrique (MINUSCA), a 13,000 man UN peacekeeping mission which has struggled to restore order while being accused of large-scale sexual abuse of local women. Deeply impoverished, the CAR has endured massive exploitation by Chadian Muslims in the 19th century, French imperialists in the 19th century and neo-colonialists working with corrupt CAR politicians since independence in 1960. Russia appears ready to join this game, exchanging arms and cash for access to oil, minerals, strategic bases and rare earths, materials vital to modern electronics but a market almost entirely dominated by China. Moscow is trying to trade on Russia’s lack of colonial history in Africa (overlooking failed attempts to establish Russian colonies in the 19th century), its Cold War assistance to various bastions of Marxism in Africa and its military performance in Syria. The CAR has been under a UN arms embargo since civil war broke out in 2013. Pleas from CAR president Faustin Archange Touadéra for arms and training to reinvigorate the shattered CAR military found a sympathetic ear in Moscow last year. An exemption to the embargo was granted only after Russia agreed to supply secure storage and serial numbers for the weapons. The US, UK and France were concerned the arms could disappear soon after delivery; in 2013 the armories were looted and weapons belonging to the Forces armées centrafricaines (FACA) have a habit of turning up on the black market. Aside from the Russian arms supplies, the UN embargo has been renewed through to February 2019. The exemption allowed CAR chief-of-staff Firmin Ngrebada and special adviser Fidèle Gouandjika to arrange an agreement for arms and training with Russian Foreign Minister Sergei Lavrov, signed in Sochi on October 9, 2017. Ngrebada, nicknamed “Foccart,” after Jacques Foccart (1913-1997), the French special advisor on African affairs in the 1960s and 70s, insists it was French president Emmanuel Macron who sent the CAR delegates to Russia after a French attempt to supply FACA with arms seized off Somalia failed following Russian objections (Jeune Afrique, May 3; CorbeauNews [Bangui], January 16). Among the weapons delivered in this year are 900 Makarov pistols, 5,200 Kalashnikov assault rifles, 140 sniper rifles, 840 Kalashnikov PK 7.62 mm machine guns, 270 RPGs, 20 man-portable anti-air defense systems, hand grenades, mortars and millions of round of ammunition (The Nation [Nairobi), December 14, 2017). Russian arms and parts are compatible with what Soviet-era arms remain in the CAR armories. While the Russian arms are a donation rather than a sale, the Sochi agreement contains provisions for Russian exploitation of minerals, resources and energy sources as well as the development of infrastructure and enhanced commercial relations (Defenceweb, February 19; Russia Today, April 3). 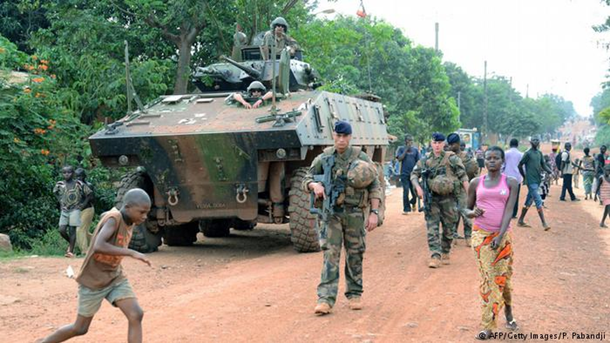 Though French Ambassador to the CAR Christian Bader has stated France does not perceive a problem with the Russian military agreement, France has traditionally resented the intrusion of other nations into its African “backyard” (CorbeauNews [Bangui], April 21, 2018). One French diplomat has complained of the “shameless” bribes paid by the Russians for access to CAR governing bodies (Le Monde, April 23). Russians in civilian garb have also appeared in poor neighborhoods of Bangui, handing out various essentials (RFI, April 25). Local reports suggest that among the newly arrived Russians are disinformation experts who have started an anti-French media campaign (MondeAfrique.com, May 9). The arms are intended for use by two battalions (1300 men) of FACA trained by the European Training Mission (EUTM RCA), beginning in mid-2016. Training was initially inhibited by a shortage of arms. EUTM’s mandate is expected to be renewed in September. 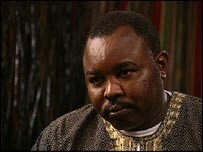 The Russians are reported to have had talks with the Russian-educated former Séléka rebel leader and CAR president Michael Djotodia (2013-2014), though Ngrebada says he has no reason to doubt the sincerity of his new Russian friends (Jeune Afrique, May 3). Witnesses also described a Russian Cesna aircraft with three or four Russian soldiers visiting the compounds of Muslim rebel leaders Nourredine Adam and Abdoulaye Hissene in the northern CAR (Monde Afrique, May 4; RFI, May 1). During Operation Sangaris, the French made similar efforts to contact rebel leaders to persuade them to refrain from attacking Bangui; Russian intentions are still unknown, but may have something to do with threats of a rebel “march on Bangui” in response to the military cooperation with Russia (L’Obs, May 5). Russian interest in the rebel-occupied goldfields of northeastern CAR may provide another reason. 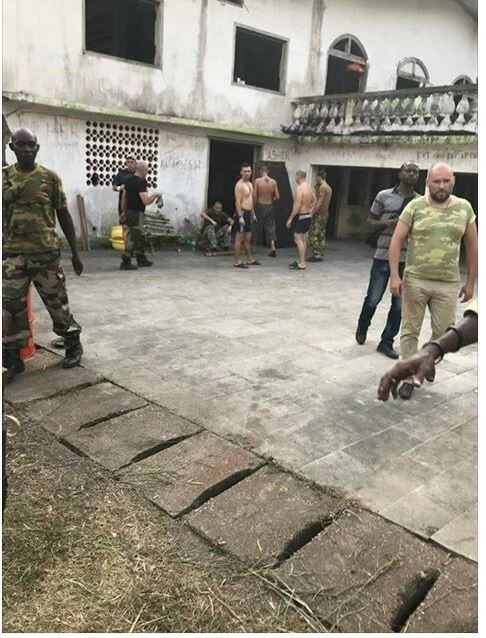 The 175 Russian trainers have established a base at Béréngo palace, the abandoned home of psychopathic CAR “emperor” Jean-Bédel Bokassa (1966-1979). Only five of this group are members of the Russian Army; most of the others are mercenaries working for private Russian military contractors (Le Monde, April 23). The palace’s 100 acres are only 35 miles from Bangui and include a firing range and airstrip that can easily be expanded and modernized to handle large Russian aircraft, enabling the Russians to avoid using the French-controlled airport in Bangui. One estimate suggests that there are now 1400 armed Russians in the CAR, most of them employees of private military contractor Sewa Security Services (Le Tchadantrhropus Tribune [N’Djamena], May 14). Some 40 members of the Russian Special Forces have been assigned as a security detail for President Touadéra, work that used to be done by Libyans, Chadian mercenaries or, most recently, Rwandans attached to MINUSCA. Valeri Zakarov, a Kremlin insider, is the new presidential security adviser. The CAR presidency is now concerned that the military agreement with Russia will encourage Western attempts to overthrow Touadéra, prompting even greater reliance on Russian security personnel. This article first appeared in the May 15, 2018 issue of Eurasia Daily Monitor. Renewed fighting in southern Libya around the Kufra and Sabha oases demonstrates the difficulty of reaching anything more substantial than temporary and fragile political agreements in the region. 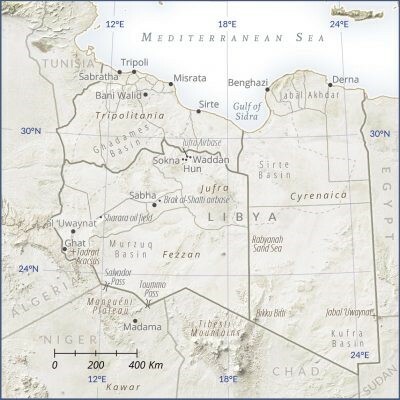 The parties to the seemingly intractable conflict in the south include a range of legitimate and semi-legitimate actors – forces allied to Libya’s rival governments, self-appointed police and border security services – and illegitimate actors, such as foreign mercenaries, bandits, jihadists and traffickers. The fact that membership of these groups often overlaps leads to heated clashes over turf and privileges that endanger the civilian population while inhibiting sorely-needed development initiatives. On March 13, the United Nations Support Mission in Libya (UNSMIL) warned that the build-up of armed forces in the south “risks further escalation” of the ongoing violence. Tensions are so high at present that even the body of the 19th century head of the Sanusi order has been pulled into the struggle for the resource-rich deserts of southern Libya. The Saudi-backed Madkhalist religious sect is the most prominent player in the Kufra and Sabha violence. A basic tenet of Madkhalism is respect for legitimate authority, the wali-al-amr. This Salafist movement was first introduced to Libya by Mu’ammar Qaddafi to counter Libya’s more revolutionary Salafist groups. Madkhalist militias in Libya typically seek to control local policing duties, providing them a degree of immunity while enforcing Salafist interpretations of Shari’a that have little in common with traditional Libyan Islamic practice. 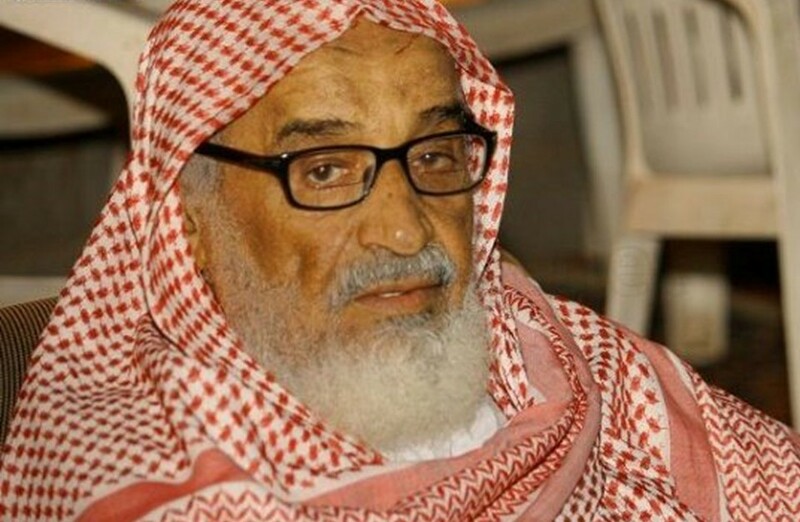 Although Saudi sect leader Rabi bin Hadi al-Madkhali issued a surprising declaration of support in 2016 for General Khalifa Haftar’s Libyan National Army (LNA) in its fight against “the Muslim Brotherhood” (ie the Tripoli-based government), Libya’s Madkhalis do not appear to have a preferred allegiance in the rivalry between Tripoli’s Presidency Council/Government of National Accord (PC/GNA) and Haftar’s military coalition (Arabi21.com, September 21, 2016). Indeed, they appear to be covering their bases by supporting both rivals without coming into direct conflict with either. The Madkhalis in Tripoli are represented by the Rada Special Deterence Force, led by Abd al-Rauf al-Kara. Nominally loyal to the PC/GNA but operating largely independently of government control, they act as a self-appointed police force complete with private jails reputed to be dens of torture (Middleeasteye.net, January 15). Meanwhile the growing Madkhali armed presence in Benghazi appears to be meeting resistance. 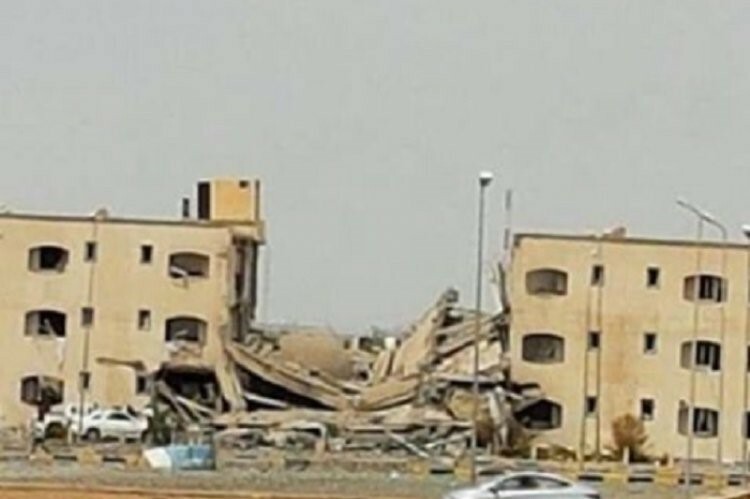 The January 25 twin car-bombing that killed 41 people in Benghazi, including LNA commander Ahmad al-Fitouri, appears to have targeted the Baya’at al-Radwan mosque frequented by Madkhalist militia members (Libya Herald, January 23). The Madkhalists also dominate the 604th Infantry Battalion in Misrata (Libya Tribune, November 4, 2017). A combination of fresh water and nearly impassable desert depressions on three sides makes southeast Libya’s remote Kufra Oasis an inevitable stop for cross desert convoys or caravans. Some 1,500 km from the Libyan coast, Kufra is now a major stop for the flow of illegal migrants that Kufra mayor Muftah Khalil says is overwhelming local security services (Libya Observer, March 5). Since the 2011 Libyan Revolution, Kufra has several times erupted in tribal violence, usually pitting the Zuwaya Arabs against indigenous black semi-nomadic Tubu tribesmen, whose homeland stretches across southern Libya, northern Chad, northwestern Sudan and northeastern Niger. 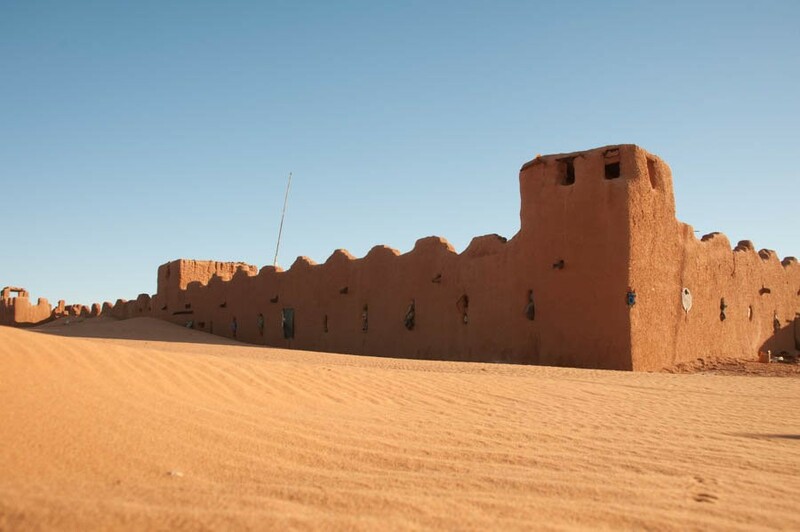 There is long-standing friction between the two communities – the Zuwaya were only able to take possession of Kufra in 1840 by driving out the Tubu. 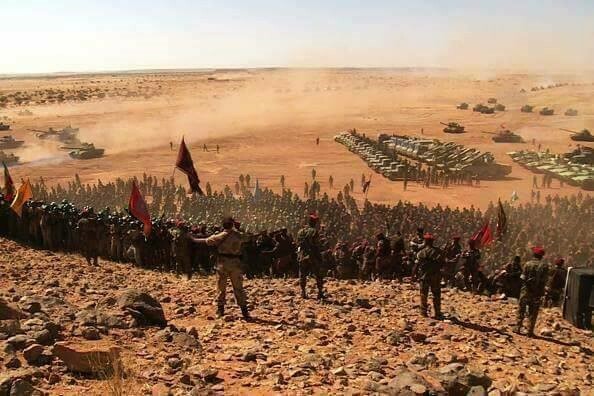 Things have been heating up in the Kufra region in recent months, as Sudanese mercenaries clash with LNA forces and Subul al-Salam, a local Madkahlist militia affiliated with the LNA. In the last days of 2017, Subul al-Salam attacked al-Taj (“The Crown”), a height overlooking the Kufra Oasis, destroying the funerary shrine of Sayyid Muhammad al-Mahdi al-Sanusi, who built a proto-Islamic state in the Sahara and Sahel from 1859 until his death in 1902, and stealing his body. A former representative for Kufra, al-Tawati al-Ayda, insisted that the vehicles used in the attack bore the insignia of the LNA. He also suggested the attack was inspired by the arrival in Kufra of Tripoli Madkhalist preacher Majdi Hafala (Libya Observer, January 2). The Sanusi are a conservative Sufi religious order that grew into a powerful political and military organization in the 19th and early 20th centuries, resisting invasion by the French and later the Italians. Founded in Mecca by Muhammad al-Mahdi’s Algerian father in 1837, the order’s rapid growth after moving to Libya in 1843 attracted the attention of the Ottoman rulers of Libya and the movement moved south, out of Ottoman control, to the oasis of Jaghbub in 1856. The conservative asceticism at the core of the movement had wide appeal in the desert communities and tribes. This was especially true in the southern oasis of Kufra, to which al-Mahdi moved the Sanusi headquarters in 1895. 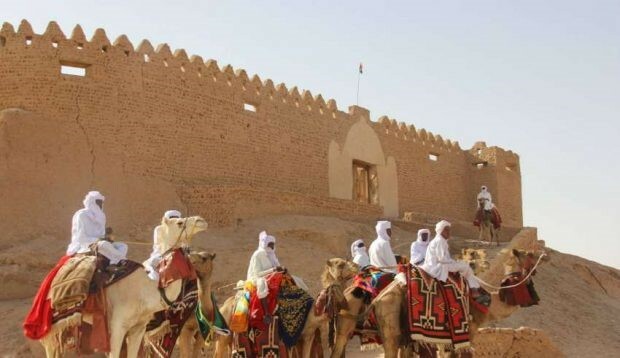 Using the trade routes that ran through Kufra, al-Mahdi introduced the commerce-friendly Sanusi brand of Islam to the Saharan and sub-Saharan interior of Africa. The Zuwaya Arabs of Kufra became adherents to the Sanusi tariqa, or path, and defenders of the Sanusi family. Today, the Zuwaya form the core of the Subul al-Salam militia responsible for the assault on al-Taj. While they enjoyed more influence in Cyrenaïca than Tripolitania, the Sanusis eventually formed Libya’s post-Second World War pro-Western monarchy between 1951 and 1969. There is some support in Cyrenaïca for the restoration of the exiled royals as a means of bringing rival government factions together. The current heir to the Libyan throne is Muhammad al-Sanusi, who has not pursued a claim to a revived Sanusi constitutional monarchy, but equally has done nothing to discourage discussions about it within Libya. After overthrowing the Sanusi monarchy in 1969, Qaddafi began a campaign to malign the Sanusis as the embodiment of the inequities of the old regime and a challenge to the peculiar blend of socialism and Islam he propagated in his Green Book. Attitudes shaped by Qaddafist propaganda against the Sanusis still color the way the order is regarded by many modern Libyans. 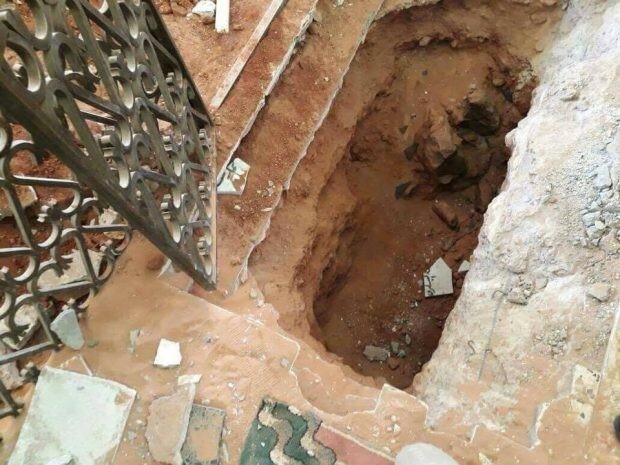 The desecration at al-Taj was quickly denounced by the Presidency Council in Tripoli. The Dar al-Ifta (Fatwa House) run by Grand Mufti Sadiq al-Ghariani blamed the imported Madkhalilst trend: “Madkhalists are being sent to Libya by Saudi Arabia in order to destabilize the country and abort the revolution. These are all loyalists of Khalifa Haftar and his self-styled army in eastern Libya” (Libyan Express, January 2). Dar al-Ifta also used the incident to launch a broader attack on Libya’s Madkhalists, which it accused of detaining, torturing and murdering Islamic scholars and clerics who failed to fall into line with the Salafists sect (Libya Observer, January 2). The Madkhalis in turn accuse al-Ghariani of association with the Libyan Muslim Brotherhood, and hence a follower of the late revolutionary Egyptian Muslim Brotherhood leader Sayyid Qutb (executed in Egypt in 1966), the Madkhalis’ ideological arch-enemy. Surprisingly, this is not the first time al-Mahdi’s corpse has gone missing – it was disinterred by unknown individuals in 2012 and reburied in a nearby cemetery, before relatives recovered it and returned it to the shrine at al-Taj (Libya Observer, December 30, 2017). Chadian and Sudanese rebels driven from their homelands have turned mercenary in Libya to secure funding and build their arsenals. Grand Mufti al-Ghariani has accused Saudi Arabia and the United Arab Emirates (UAE) of funding the recruitment of African mercenaries to occupy southern Libya on behalf of Haftar’s LNA (Libya Observer, March 13). In practice, the rebels have found employment from both the LNA and the PC/GNA government in Tripoli. Sudanese fighters of Darfur’s Justice and Equality Movement (JEM) killed six members of the LNA’s 106 and 501 Brigades engaged in border security near Jaghbub Oasis on January 15. A seventh LNA soldier was abducted. The area was the site of an earlier clash in October 2016 between JEM and Kufra’s Subul al-Salam militia in which 13 JEM fighters were killed (Libya Herald, October 20, 2016). The LNA responded to the death of the border guards with “Operation Desert Rage,” which opened with January 20 airstrikes against what the LNA alleged were Sudanese and Chadian rebels near Rabyana Oasis, 150 km west of Kufra. Possibly involving Egyptian aircraft, the strikes caused “heavy losses” to a 15-vehicle convoy of “terrorists” (TchadConvergence, January 22). The Sudanese and Chadians had been prospecting for gold in the newly discovered deposits near Jabal ‘Uwaynat, the remote meeting point of Egypt, Libya and Sudan (Egypt Today, January 23). The commander of the LNA’s Kufra military zone, al-Mabruk al-Ghazwi, said patrols had been sent in every direction to prevent JEM fighters from escaping (Libya Observer, January 20). Sudan Armed Forces (SAF) spokesman Brigadier Ahmad al-Shami confirmed the presence of Darfuri rebels working as mercenaries in Libya last summer, noting their greatest concentrations were at the oases of Kufra and Rabyana as well as the city of Zintan in Libya’s northwest (Libya Observer, July 20, 2017). The Tubu, Awlad Sulayman Arabs and African mercenaries are also engaged in a new round of post-revolutionary fighting in Sabha, capital of Libya’s southwestern Fezzan region. 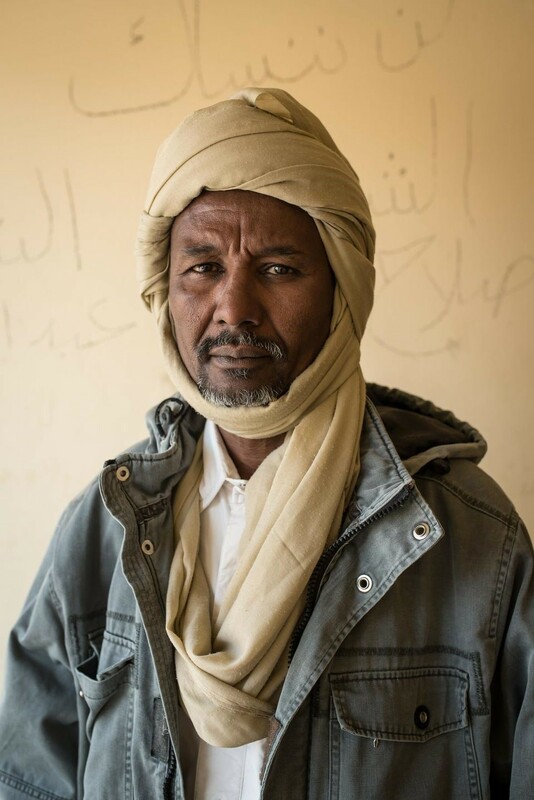 Following the 2011 revolution, the Awlad Sulayman took advantage of shifts in the local tribal power structure to take over Sabha’s security services and regional trafficking activities. 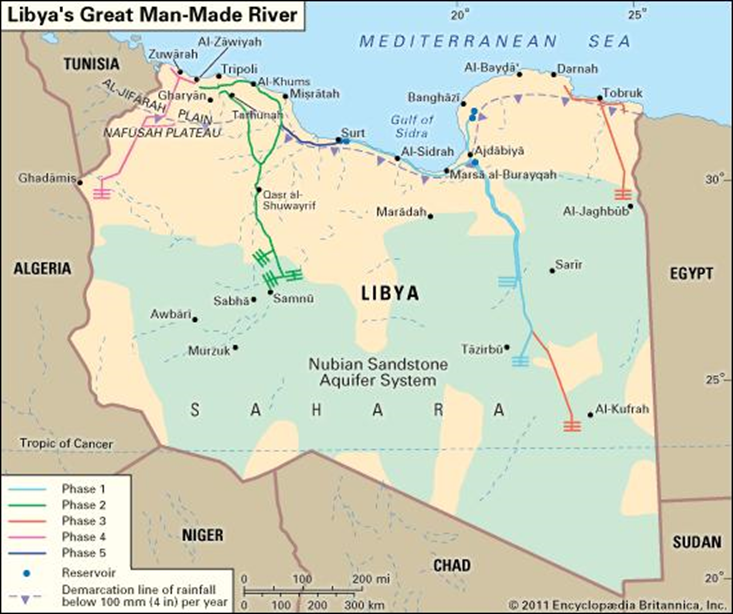 This brought the Arab group into conflict with the Tubu and Tuareg, who traditionally controlled the cross-border smuggling routes. The result was open warfare in Sabha in 2012 and 2014. One of the leading Awlad Sulayman commanders at the time was Ahmad al-Utaybi, now commander of the Awlad Sulayman-dominated 6th Infantry Brigade. 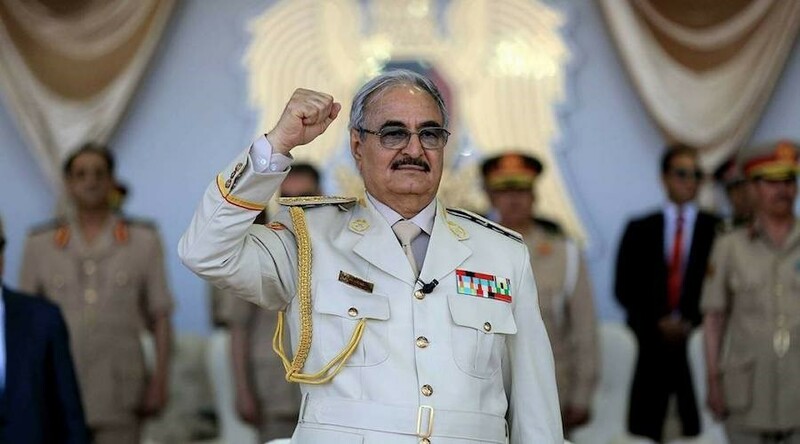 In mid-February, Haftar announced his decision to join the 6th Brigade with the LNA, but al-Utaybi quickly declared his Brigade’s loyalty was to the defense ministry of the GNA government in Tripoli. Following al-Utaybi’s refusal to commit his forces to the LNA, Haftar announced his replacement as commander of the 6th Infantry Brigade with Brigadier Khalifa Abdul Hafiz Khalifa on February 25, though Khalifa has been unable to assume command (Al-Sharq al-Aswat, February 27). At the same time, the 6th Brigade came under heavy attack from alleged Chadian and Sudanese mercenaries working for Haftar. According to al-Utaybi: “The militias who attacked our locations wanted to take control of it and then seize the entire southern region because the fall of the Brigade means the fall of the security of the south” (Libya Observer, February 24). 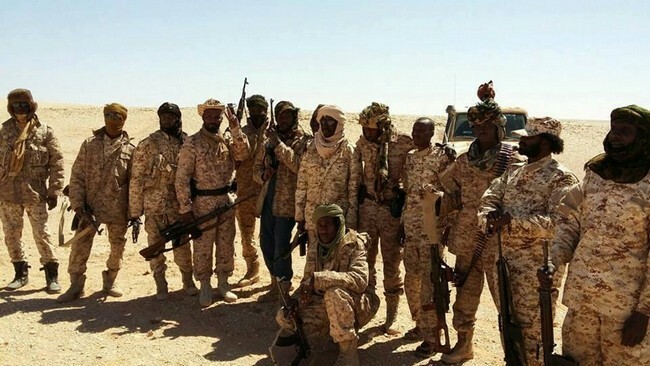 Al-Utaybi claims that the fighting is not tribal-based, but is rather a clash between the 6th Brigade and groups loyal to Haftar, consisting largely of Tubu mercenaries from Chad, Niger and Sudan (Libyan Express, March 1; Libya Observer, March 2). 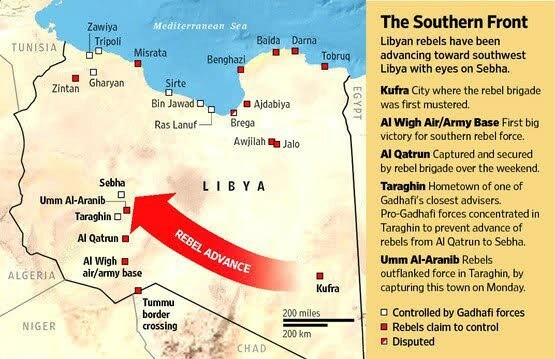 There are also claims that the conflict has much to do with the collapse of the Italian agreement with the southern tribes providing them with funding and development in return for suppression of migrant flows through Libya to Europe (Eyesonlibya.com, February 27). 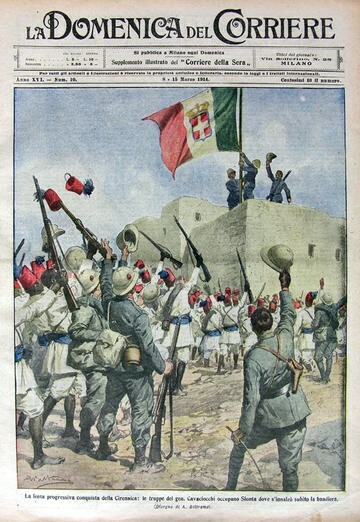 The 6th Brigade was forced to withdraw into Sabha’s Italian colonial-era fortress. 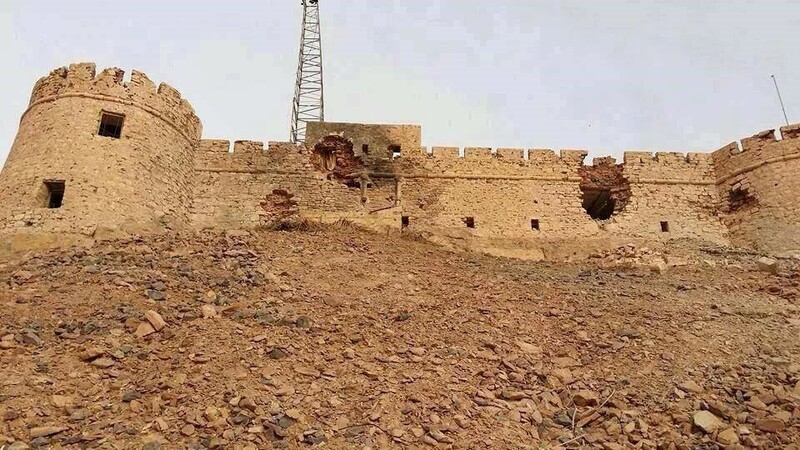 The historic building has been heavily damaged in this round of fighting, with the Libyan Antiquities Authority protesting that: “Those who do not wish us well are seeking to obliterate Libyan history and civilization” (Libya Observer, March 5). The fighting consists largely of artillery attacks on the fortress and ethnic neighborhoods, as well as sniping, assassinations and drive-by killings. 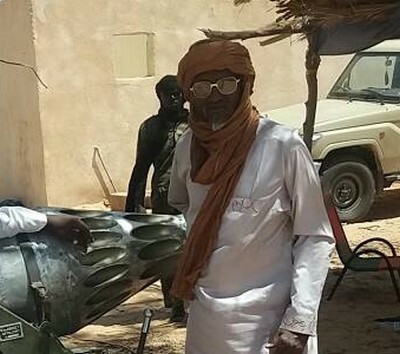 Sabha’s mayor, Hamid al-Khayali, insists that well-armed Chadian and Sudanese mercenaries flying the flags of “African countries” were taking advantage of the region’s insecurity: “This is an occupation of Libyan land. This is on the shoulders of all Libyans. The south is half-occupied and some Sabha areas are occupied by foreign forces from Sudan, Chad and other countries; why is the Libyan army silent about this?” (Libya Observer, February 25; Libyan Express, February 27). The long-standing Arab suspicion of the Tubu was reflected in a Presidency Council statement in late February praising the 6th Brigade’s defense of Sabha against “mercenaries” intent on changing the south’s demographic structure from Arab-dominant to Tubu-dominant (Libya Observer, February 27). 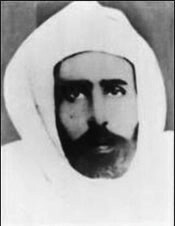 The abduction of Muhammad al-Mahdi’s body was, like earlier Salafist demolitions of Sufi shrines in coastal Libya, both a demonstration of Madkhali determination to reform Libya’s religious landscape and a provocation designed to reveal what real resistance, if any, exists to prevent further Madkhalist encroachments on Libyan society. For now the Madkhalists are in ascendance and have made important, even unique, inroads in assuming control of various security services across the country, regardless of which political factions are locally dominant. Reliable salaries, superior weapons and a degree of legal immunity ensure a steady supply of recruits to the Madkhali militias. However, the Madkhali rejection of democracy, and their indulgence in extra-judicial law enforcement and theological disputes with nearly every other form of Islamic observance, ensures their growing strength will inhibit any attempt to arrive at a democracy-based political solution in Libya. The Chadian groups include the Front pour l’alternance et la concorde au Tchad (FACT), the Conseil du commandement militaire pour le salut de la République (CCMSR) and the Rassemblement des forces pour le changement (RFC). The Sudanese groups are all from Darfur, and include the Justice and Equality Movement (JEM), the Sudan Liberation Movement – Unity (SLM-Unity) and the Sudan Liberation Movement/Army – Minni Minnawi (SLM/A-MM). The latter two attempted to return to Darfur in 2017 but were badly defeated by units of the Sudan Armed Forces (SAF) and the paramilitary Rapid Support Forces (RSF). Libyan Arabs commonly describe the Libyan Tubu as “foreigners” and “illegal immigrants” despite their historic presence in the region. This article first appeared in the April 6, 2018 issue of the Jamestown Foundation’s Terrorism Monitor. After taking the throne in January, the new Saudi regime of King Salman bin Abdulaziz al-Saud seems determined to shake off the perceived lethargy of the Saudi royals, presenting a more vigorous front against a perceived Shi’a threat in the Gulf with the appointment of former Interior Minister Muhammad bin Nayef as Crown Prince and Salman’s son Muhammad as Minister of Defense and second in line to the throne. To contain Shiite expansion in the Gulf region, the Saudis created a coalition of Muslim countries last year to combat Yemen’s Zaydi Shiite Houthi movement, which had displaced the existing government and occupied Yemen’s capital in 2014. Assessing the military performance of this coalition is useful in projecting the performance of an even larger Saudi-led “counter-terrorist” coalition designed to intervene in Syria and elsewhere. As a demonstration of the united military will of 20 majority Sunni nations (excluding Bahrain, which has a Shi’a majority but a Sunni royal family), the Saudi-led Operation Northern Thunder military exercise gained wide attention during its run from February 14 to March 10 (Middle East Monitor, March 3, 2016). The massive exercise involved the greatest concentration of troops and military equipment in the Middle East since the Gulf War. However, Saudi ambitions run further to the creation of an anti-terrorism (read anti-Shi’a) coalition of 35 Muslim nations that is unlikely to ever see the light of day as conceived. Questions were raised regarding the true intent of this coalition when it became clear Shi’a-majority Iran and Iraq were deliberately excluded, as was Lebanon’s Shi’a Hezbollah movement. A Saudi-led coalition launched Operation Decisive Storm in Yemen on March 26, 2015 as a means of reversing recent territorial gains by the Zaydi Shi’a Houthi movement, securing the common border and restoring the government of internationally recognized president Abd Rabu Mansur al-Hadi, primarily by means of aerial bombardment. 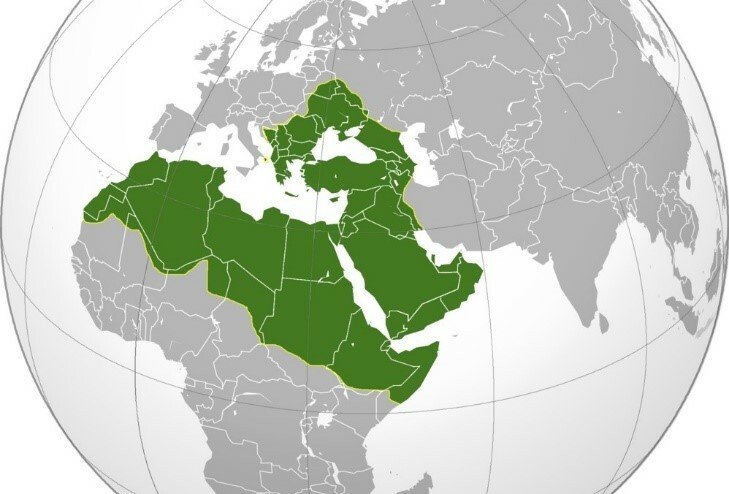 Nine other nations joined the Saudi-coalition; the United Arab Emirates (UAE), Egypt, Jordan, Morocco, Sudan, Kuwait, Qatar, Bahrain and Senegal, the latter being the only non-Arab League member. Senegal’s surprising participation was likely the result of promises of financial aid; Senegal’s parliament was told the 2,100 man mission was aimed at “protecting and securing the holy sites of Islam,” Mecca and Madinah (RFI, March 12, 2015). Despite having the largest army in the coalition, Egypt’s ground contributions appear to have been minimal, with the nation still wary of entanglement in Yemen after the drubbing its expeditionary force took from Royalist guerrillas in Yemen’s mountains during the 1962-1970 civil war, a campaign that indirectly damaged Egypt’s performance in the 1973 Ramadan War against Israel. The Egyptians have instead focused on contributing naval ships to secure the Bab al-Mandab southern entrance to the Red Sea, a strategic priority for both Egypt and the United States. With support from the UK and the United States, the Saudi-led intervention was seen by Iran, Russia and Gulf Shiite leaders as a violation of international law; more important, from an operational perspective, was the decision of long-time military ally Pakistan to take a pass on a Saudi invitation to join the conflict (Reuters, April 10, 2015). Operation Decisive Storm was declared over on April 21, 2015, to be replaced the next day with Operation Restoring Hope. Though the new operation was intended to have a greater political focus and a larger ground component, the aerial and naval bombing campaign and U.S.-supported blockade of rebel-held ports continued. The failure of airstrikes alone to make significant changes in military facts on the ground was displayed once again in the Saudi-led air campaign. A general unconcern for collateral damage, poor ground-air coordination (despite Western assistance in targeting) and a tendency to strike any movement of armed groups managed to alienate the civilian population as well as keep Yemeni government troops in their barracks rather than risk exposure to friendly fire in the field (BuzzFeed, April 2, 2015). At times, the airstrikes have dealt massive casualties to non-military targets, including 119 people killed in an attack on a market in Hajja province in March 2016 and a raid on a wedding party in September 2015 that killed 131 people (Guardian, March 17, 2016). While coalition operations have killed some 3,000 militants, the death of an equal number of civilians, the use of cluster munitions and the destruction of infrastructure, mosques, markets, heritage buildings, residential neighborhoods, health facilities, schools and other non-military targets constitute a serious mistake in counter-insurgency operations. Interruptions to the delivery of food, fuel, water and medical services have left many Yemenis prepared to support whomever is able to provide essential services and a modicum of security. A Muslim Army or an Army of Mercenaries? When the population of Germany’s small states began to grow in the late 18th century, the rulers of duchies and principalities such as Hesse, Hanover, Brunswick found it both expedient and profitable to rent out their small but highly-trained armies to Great Britain (whose own army was extremely small) for service in America, India, Austria, Scotland, and Ireland. Similarly, a number of Muslim-majority nations appear to be contributing troops to the Saudi-led coalition in return for substantial financial favors from the Saudi Kingdom. Khartoum’s severance of long-established military and economic relations with Iran has been followed by a much cozier and financially beneficial relationship with Saudi Arabia (much needed after the loss of South Sudan’s oilfields). Sudan committed 850 troops (out of a pledged 6,000) and four warplanes to the fighting in Yemen; like the leaders of other coalition states, President Omar al-Bashir justified the deployment in locally unchallengeable terms of religious necessity – the need to protect the holy places of Mecca and Madinah, which are nonetheless not under any realistic threat from Houthi forces (Sudan Tribune, March 15, 2016). Khartoum was reported to have received a $1 billion deposit from Qatar in April 2015 and another billion in August 2015 from Saudi Arabia, followed by pledges of Saudi financing for a number of massive Sudanese infrastructure projects (Gulf News, August 13, 2015; East African [Nairobi], October 31, 2015; Radio Dabanga, October 4, 2015). Sudanese commitment to the Yemen campaign was also rewarded with $5 billion worth of military assistance from Riyadh in February, much of which will be turned against Sudan’s rebel movements and help ensure the survival of President Bashir, wanted by the International Criminal Court for genocide and crimes against humanity (Sudan Tribune, February 24, 2016). Some Sudanese troops appear to have been deployed against Houthi forces in the highlands of Ta’iz province, presumably using experience gained in fighting rebel movements in Sudan’s Nuba Hills region (South Kordofan) and Darfur’s Jabal Marra mountain range. The UN’s Somalia-Eritrea Monitoring Group (SEMG) cited “credible information” this year that Eritrean troops were embedded in UAE formations in Yemen, though this was denied by Eritrea’s Ministry of Foreign Affairs. (Geeska Afrika Online [Asmara], February 23). The SEMG also reported that Eritrea was allowing the Arab coalition to use its airspace, land territory and waters in the anti-Houthi campaign in return for fuel and financial compensation. Somalia accepted a similar deal in April 2015 (Guardian, April 7, 2015). UAE troops, mostly from the elite Republican Guard (commanded by Austrian Mike Hindmarsh) have performed well in Yemen, particularly in last summer’s battle for Aden; according to Brigadier General Ahmad Abdullah Turki, commander of Yemen’s Third Brigade: “Our Emirati brothers surprised us with their high morale and unique combat skills,” (Gulf News, December 5, 2015). The UAE’s military relies on a large number of foreign advisers at senior levels, mostly Australians (Middle East Eye, December 23, 2015). Hundreds of Colombian mercenaries have been reported fighting under UAE command, with the Houthis reporting the death of six plus their Australian commander (Saba News Agency [Sana’a], December 8, 2015; Colombia Reports [Medellin], October 26, 2015; Australian Associated Press, December 8, 2015). 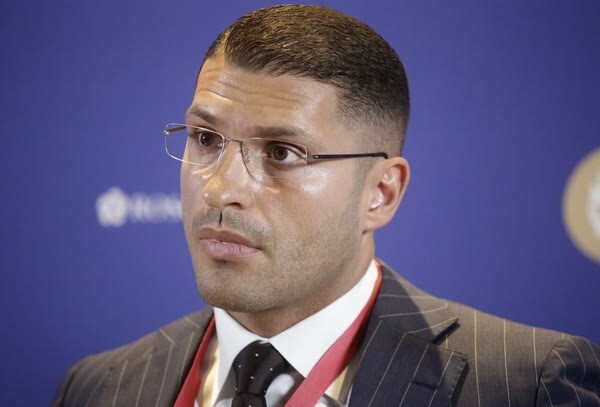 There is actually little to be surprised about in the coalition’s use of mercenaries, a common practice in the post-independence Gulf region. A large portion of Saudi Arabia’s combat strength and officer corps consists of Sunni Pakistanis, while Pakistani pilots play important roles in the air forces of both Saudi Arabia and the UAE. As well as the Emirates, Oman and Qatar have both relied heavily on mercenaries in their defense forces and European mercenaries played a large role in Royalist operations during North Yemen’s 1962-1970 civil war. 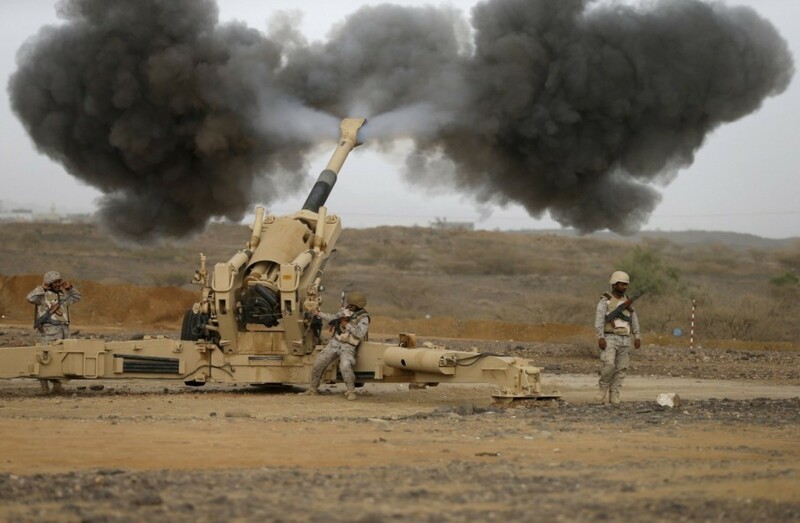 The Houthis have mounted near-daily attacks on Saudi border defenses, using mortars, Katyusha and SCUD rockets to strike Saudi positions in Najran and Jizan despite Saudi reinforcements of armor, attack helicopters and National Guard units. Little attempt has been made by the Houthis to hold ground on the Saudi side of the border, which would only feed Saudi propaganda that the Shiites are intent on seizing the holy cities of the Hijaz. When Republican Guard forces loyal to ex-president Ali Abdullah Saleh joined the Houthi rebellion, they brought firepower previously unavailable to the Houthis, including the Russian-made OTR-21 mobile missile system. OTR-21 missiles have been used in at least five major strikes on Saudi or coalition bases, causing hundreds of deaths and many more wounded. The Islamic State (IS) has been active in Yemen since its local formation in November 2014. Initially active in Sana’a, the movement has switched its focus to Aden and Hadramawt. IS has used familiar asymmetric tactics in Yemen, assassinating security figures and deploying suicide bombers in bomb-laden vehicles against soft targets such as mosques (which AQAP now refrains from) as well as suicide attacks on military checkpoints that are followed by assaults with small arms. With its small numbers, the group has been most effective in urban areas that offer concealment and dispersal opportunities. Nonetheless, part of its inability to expand appears to lie in the carelessness with which Islamic State handles the lives of its own fighters and the wide dislike of the movement’s foreign (largely Saudi) leadership. With control of nearly four governorates, a major port (Mukalla, capital of Hadramawt province) and 373 miles of coastline, al-Qaeda has created a financial basis for its administration by looting banks, collecting taxes on trade and selling oil to other parts of fuel-starved Yemen (an unforeseen benefit to AQAP of the naval blockade). The group displayed its new-found confidence by trying (unsuccessfully) to negotiate an oil export deal with Hadi’s government last October (Reuters, April 8, 2016). Eliminating al-Qaeda’s presence in Yemen was not a military priority in the Saudi-led campaign until recently, with an attack by Saudi Apache attack helicopters on AQAP positions near Aden on March 13 and airstrikes against AQAP-held military bases near Mukalla that failed to dislodge the group (Reuters, March 13; Xinhua, April 3, 2016). Perhaps drawing on lessons learned from al-Qaeda’s failed attempt to hold territory in Mali in 2012-2013, AQAP in Yemen has focused less on draconian punishments and the destruction of Islamic heritage sites than the creation of a working administration that provides new infrastructure, humanitarian assistance, health services and a degree of security not found elsewhere in Yemen (International Business Times, April 7, 2016). Conclusion: A Saudi-led Coalition in Syria? The Saudis are now intent on drawing down coalition ground operations while initiating new training programs for Yemeni government troops and engaging in “rebuilding and reconstruction” activities (al-Arabiya, March 17, 2016). A ceasefire took hold in Yemen on April 10 in advance of UN-brokered peace talks in Kuwait to begin on April 18. Signs that a political solution may be at hand in Yemen include Hadi’s appointment of a new vice-president and prime minister, the presence of a Houthi negotiating team in Riyadh and the exclusion of ex-president Saleh from the process, a signal his future holds political isolation rather than a return to leadership (Ahram Online, April 7, 2016). If peace negotiations succeed in drawing the Houthis into the Saudi camp the Kingdom will emerge with a significant political, if not military, victory, though the royal family will still have an even stronger AQAP to contend with. Like the Great War, the end of the current war in Yemen appears to be setting the conditions for a new conflict so long as it remains politically impossible to negotiate with AQAP. However, AQAP is taking the initiative to gain legitimacy by testing new names and consolidating a popular administration in regions under its control. Unless current trends are reversed, AQAP may eventually be the first al-Qaeda affiliate to successfully make the shift from terrorist organization to political party. The cost to the Saudis in terms of cash and their international reputation has been considerable in Yemen, yet Hadi, recently fled to Riyadh, is no closer to ruling than when the campaign began. Sana’a remains under Houthi control and radical Islamists have taken advantage of the intervention to expand their influence. Perhaps in light of this failure, Saudi foreign minister Adl al-Jubayr has suggested the Kingdom now intends only a smaller Special Forces contribution to the fighting in Syria that would focus not on replacing the Syrian regime but rather on destroying Islamic State forces “in the framework of the international coalition” (Gulf News, February 23, 2016). Introducing a larger Saudi-led coalition to the anti-Islamic State campaign in Syria/Iraq without a clear understanding and set of protocols with other parties involved (Iran, Iraq, Russia, Hezbollah, the Syrian Army) could easily ignite a greater conflict rather than contribute to the elimination of the Islamic State. Saudi Arabia is not a disinterested party in the Syrian struggle; it has been deeply involved in providing financial, military and intelligence support to various religiously-oriented militias that operate at odds with groups supported by other interested parties. The Saudi-led intervention in Yemen has left one of the poorest nations on earth in crisis, with 2.5 million displaced and millions more without access to basic necessities. With Yemen’s infrastructure and heritage left in ruins and none of the coalition’s strategic objectives achieved, it seems difficult to imagine that the insertion into Syria of another Saudi-led coalition would make any meaningful contribution to bringing that conflict to a successful or sustainable end. Besides Saudi Arabia, the other nations involved in the exercise included Egypt, Jordan, Senegal, Sudan, Malaysia, Maldives, Mauritania, Mauritius, Morocco, Pakistan, Chad, Tunisia, Djibouti, Comoro Islands and Peninsula Shield Force partners Bahrain, Kuwait, Oman, Qatar and the United Arab Emirates. 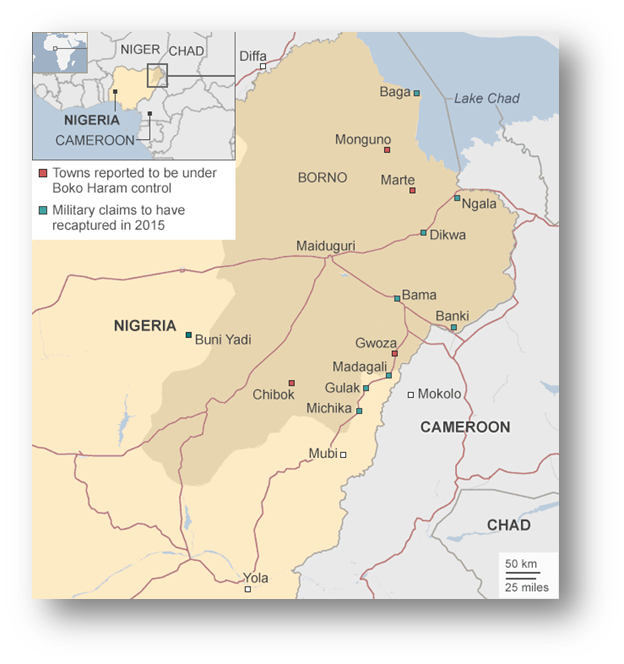 Earlier this year, Nigeria’s military fortunes brightened suddenly and unexpectedly in the midst of what at first appeared to be a disastrous campaign against the forces of Boko Haram. Though the arrival of new weapons and equipment played a role in this reversal, it now appears that the three-month deployment of South African mercenaries as military trainers and even participants in the fighting in northeastern Nigeria played a major role in enabling Nigeria’s demoralized army to begin expelling Boko Haram militants from their newly occupied territories. While a change in government in Abuja has brought an end to their mission, the evident success of these private military contractors has raised new questions regarding the utility and desirability of using mercenaries in situations where national militaries have failed to make progress against insurgents and terrorists. Lack of political will at the highest levels of President Goodluck Jonathan’s government was largely responsible for the failure of Nigeria’s security services to contain the Boko Haram threat. With the movement seizing new territory and captured arms almost daily, Jonathan suddenly found himself running out of time before the March 2015 presidential election to deal with a file he had done his best to ignore. Something had to be done about Boko Haram quickly, and the president turned to an almost inconceivable solution; the introduction of white and black mercenaries to reverse the fortunes of the Nigerian military, once considered one of the continent’s strongest, but now apparently unable to crush a local rebellion by religious extremists. While the participation of Nigeria’s Chadian and Nigerien neighbors in a military campaign against the terrorists could be explained by the regional nature of the Boko Haram threat, formally calling on a foreign power to restore order in northeast Nigeria just prior to elections was out of the question. Even if South Africa was considered as a source of military assistance, Jonathan and his aides would have been well aware of the deteriorating state of South Africa’s own military and its less than stellar performance in the Central African Republic in 2013. Nigerian authorities did not deny the existence of the foreign contractors, but insisted they were only involved in training Nigerian troops in the use of the new weapons arriving for use in the fight against Boko Haram (BBC, March 13, 2015). Most of the mercenaries engaged by Nigeria appear to have been personnel of Specialized Tasks, Training, Equipment and Protection (STTEP), a private military company run by Colonel Eeben Barlow, a widely-known private military contractor and former commander of the South African Defense Force’s 32 Battalion. STTEP recruits experienced soldiers by word of mouth, including “reformed” South Africans or Namibians who may have fought against the South African Defense Force (SADF – South Africa’s apartheid-era army) as communist guerrillas during South Africa’s border wars. Despite statements of sympathy for Nigeria’s predicament, both the U.S. and British governments remained firm in their position that the atrocious human rights record of the Nigerian military during the Jonathan administration precluded a military partnership on the ground or a resupply of armaments. Shortly after his election, new President Muhammadu Buhari (a retired Nigerian Army major-general who seized power in a 1983 military coup, serving as head-of-state until 1985) expressed his objections to the use of mercenaries in Nigeria (Pretoria News, May 21, 2015). Buhari’s running mate, Yemi Osinbajo (now vice-president) ignored certain military realities in declaring his emphatic opposition to the South Africans’ deployment in Nigeria: “Because of the way that this government has degraded the army, we now find the need to engage mercenaries… There is absolutely no reason at all why the Nigerian army, which is one of the finest armies in the world, now have to engage mercenaries to come and fight” (VOA, March 20, 2015). Following reports from major human rights organizations of widespread human rights abuses by the Nigerian military in northeast Nigeria, Buhari pledged to bring an end to such violations, promising in his inaugural speech: “We shall improve operational and legal mechanisms so that disciplinary steps are taken against proven human rights violations by the armed forces” (Reuters, June 4, 2015). Like many of its West African neighbors, Nigeria has prior experience with mercenaries, who were used by both sides in the Nigerian Civil War (1967-1970). 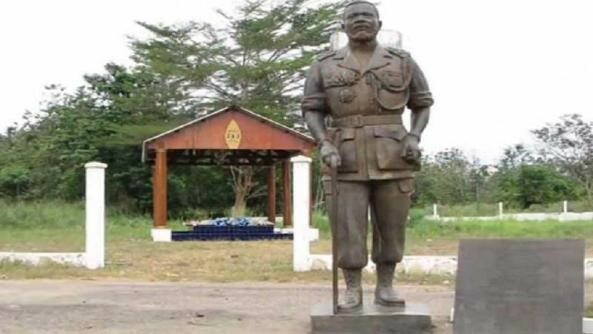 A large number of Chadian mercenaries and European pilots engaged on the federal side, while a smaller number of Rhodesians and Europeans (mainly British, French, Belgian, Portuguese and German) fought unsuccessfully for Biafran independence. Most of the South Africans deployed to Nigeria would have served together, black and white, in a select number of South African and South West African military units and paramilitaries of the apartheid era. Others will have served together as private military contractors in the post-apartheid era in organizations such as Executive Outcomes. Some of the South African contractors are believed to be veterans of Koevoet (“Crowbar”), a white-led, mixed race police paramilitary that operated with great efficiency and brutality in South-West Africa (now Namibia) between 1979 and 1989. Working on a bounty system for killed or captured “terrorists” of the South West African People’s Organization (SWAPO), Koevoet scored enormous numbers of kills but took few prisoners. Koevoet bush-craft and tactics were based on the earlier work of the Portuguese Flechas (Arrows) of Angola and Mozambique and Rhodesia’s Selous Scouts. Like these elite formations, Koevet recruited captured fighters who had been “turned,” and occasionally disguised themselves as Marxist guerrillas to carry out ambushes or specific missions. Other South Africans appear to be veterans of 32 Battalion (a.k.a. 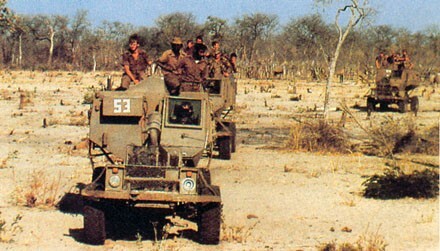 the Buffalo Battalion, or “the Terrible Ones”) of the SADF. This white-led unit (recently described by the UK’s Sky News as “a foreign legion of racist mercenaries,” was composed largely of black troops who once belonged to the Frente Nacional de Libertação de Angola (FNLA), an Angolan independence movement that lost a post-independence power struggle with the rival Movimento Popular de Libertação de Angola (MPLA) in 1975. 32 Battalion was deployed largely in southern Angola and played an important part in the series of South African operations in Angola in 1987-1988 against Soviet-led Angolan government forces and their Cuban allies known broadly as the Battle of Cuito Cuanavale. 32 Battalion was created and led by Commandant Jan Breytenbach, who was once involved in a covert South African training mission for Biafran rebels in Nigeria. Much hated by South Africa’s African National Congress (ANC), the unit was disbanded in 1993 and its black members retired to the dusty town of Pomfret, where in the absence of other opportunities many continued to seek employment from former SADF officers who had gone on to form private military firms such as Executive Outcomes (EO – 1989-1998) in post-apartheid South Africa. As in their original units, the private military contractors continued to use white officers and senior NCOs, with the other ranks filled largely by black troops. The “Buffalos” figured in Executive Outcomes operations in Angola and Sierra Leone in the 1990s. Many were unfortunate enough to allow themselves to be recruited by former SAS member and Sandline International co-founder Simon Mann for a failed coup attempt in oil-rich Equatorial Guinea in 2004. Most endured a nasty stretch in prison in Zimbabwe (where they had been arrested en route to Equatorial Guinea) before being returned to Pomfret. A smaller number in the advance party found themselves doing long stretches in Equatorial Guinea’s notorious Black Beach Prison where they were joined by Simon Mann after his extradition from Zimbabwe. It is likely that some other South Africans may be veterans of the SADF’s Special Forces, known as “the Recces.” These units were once highly active in covert operations throughout southern Africa. Eastern Europeans were also hired as military contractors by Nigeria and served alongside the South Africans, but their presence does not carry the same political baggage and no complaints have been made. Information about the East Europeans is in short supply, including whether they have remained in Nigeria under separate contract. Ukrainians have become ubiquitous throughout Africa as contracted civil and military pilots of both aircraft and helicopters. Some reports indicate that they have been joined in Nigeria by Russian and Georgian military contractors. According to STTEP chairman Eeben Barlow, the military firm was engaged for work in Nigeria as a sub-contractor for an un-named primary contractor in December 2014. Their original mission was to rescue the over 250 schoolgirls from Chibok kidnapped by Boko Haram, though this soon evolved into the creation of a mobile strike force incorporating Nigerian troops capable of reversing Boko Haram’s offensive momentum. The South Africans established a base in a corner of Maiduguri’s airport, closed for the last two years due to instability, but still capable of providing a base for aerial attacks and helicopter missions. The STTEP contractors were eventually attached to Nigeria’s elite 72 Strike Force in January 2015 to create a mobile strike force “with its own organic air support, intelligence, communications, logistics and other relevant combat support elements.” After a period of intense training, the strike force conducted its first successful operation in late February. Since then, the South Africans appear to have played a major role in flushing Boko Haram fighters out of their camps hidden in the thick brush of the Sambisa Forest, though some elements remain due to a failure to complete this operation. There is no evidence that either Barlow or the South Africans in the field coordinated in any way with Chadian or Nigerien troops operating in the same region. Founded in 2006, STTEP International Ltd. describes itself as “an international, privately-owned military, intelligence and law enforcement training and advisory company.” STTEP’s motto is “Failure is never an option,” and the firm claims to have “never failed in any of its missions, undertakings or projects.” The company’s operational procedure is to align itself with the armed forces of the client government to achieve strategic and operational goals through “military input and advice and support at both the operational and tactical levels.” Areas of claimed expertise include counter-terrorism, offensive counter drug operation, unconventional warfare, semi-conventional warfare and covert/clandestine operations. Some in the media like to refer to us as ‘racists’ or ‘apartheid soldiers’ with little knowledge of our organization… We are primarily white, black, and brown Africans who reside on this continent and are accepted as such by African governments… Had we been the so-called racists some media whores insist on calling us, do you think any African government would even want to speak to us? I very much doubt it. Using expert trackers, strike force units pursue enemy forces with armored personnel carriers supported by air assets providing fire support, transportation, reconnaissance and medevac. Wherever possible, strike force personnel use helicopters to “leapfrog” the enemy and prevent his escape from pursuing forces. Superiority in night operations, engagement with maximum forces every time the enemy is encountered and the rotation of strike force frontline units enables the strike force to exhaust and confuse the enemy before completing his destruction. 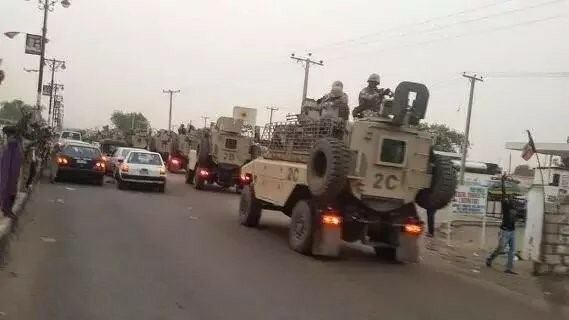 Territory retaken by strike force units is then turned over to conventional troops (in this case the Nigerian Army) for consolidation and occupation. Strike force ground units and their South African trainers relied on South-African made REVA (reliable, effective, versatile and affordable) armored personnel carriers. Capable of carrying ten passengers, the REVA’s V-shaped hull offers mine resistance, while two light machine guns provide firepower. The REVA is considered to be a low maintenance vehicle capable of operating in difficult conditions. Nigeria, Thailand, Yemen and Iraq are among the major export markets for the REVA. According to South Africa’s Netwerk24, twenty of the APCs were sold to Nigeria under a contract approved by the National Conventional Arms Control Committee (Netwerk24, March 11, 2015). The South African mercenaries are giving Boko Haram a hiding. These guys are in their 50s, but for a pilot or tank driver it doesn’t really matter. There’s going to be no Boko Haram. It boggles the mind that Britain and America promised to help Nigeria but never did. But the South African government doesn’t want [the mercenaries] to exist. They wish them off the planet. When they come back from Nigeria, it will try to prosecute them and put them in jail. Because the colour of these men is white, it makes laws that stop them earning money off shore. How wrong can you be? There is now reverse racism and it’s difficult for white people to get a job (Guardian, April 14, 2015). Indeed, financial motives appear to inspire these aging warriors more than ideology or racism. Lack of opportunity in the new South Africa is consistently cited by both black and white members of these latter-day mercenary formations and similar motives no doubt lie behind the involvement of the more reticent East European military contractors. 59-year-old Leon Lotz, a former member of Koevoet who was declared persona non grata in Namibia just prior to its independence, was the only South African known to have died by live fire during the deployment. Lotz was killed in a friendly-fire incident that occurred when a Nigerian T-72 tank opened up on a Hilux truck carrying Lotz, an East European (also killed) and a number of black Strike Force members who wer wounded. (VOA, March 20, 2015). Another South African was reported to have died in Nigeria six weeks previously from a heart attack (Netwerk24, March 11, 2015). South Africa’s Defense Ministry used Lotz’s death to issue a warning “to others who are considering engaging in such activities to really think twice and consider the repercussions” (BBC, March 13, 2015). South African Defense Minister Nosiviwe Mapisa-Nqakula warned that the South African military contractors were in violation of the nation’s Foreign Military Assistance Act and could face prosecution and a possible six-year prison term on their return (Pretoria News, May 21, 2015; The Star [Johannesburg], May 21, 2015). According to the Defense Minister, herself a prominent figure in the revolutionary ANC: “They are mercenaries, whether they are training, skilling the Nigerian defence force, or scouting for them. The point is they have no business to be there” (The Guardian, April 14, 2015). Otherwise, there was a general silence from South African government figures regarding the private military deployment. To defeat such an enemy militarily, we must out-think and outsmart him by adopting tactics, techniques, and procedures that are so unexpected and unconventional that he becomes confused and loses his cohesion. You are being deceived and misguided by people claiming to have knowledge of what the Caliphate is and what is happening in the Islamic State. Firstly, let us look at the source of this information and knowledge that you are being fed… Most of it is coming from news channels and media sources that are either funded by or run exclusively by Jewish conglomerates. So a large portion of your opinions about your brothers and your state… is based on information that you attain from the enemy (News24 [Cape Town], June 14, 2015). Several years ago it became commonly thought that the “problem” of South African mercenary activity in Africa was gradually solving itself as the former SADF members who formed the bulk of such groups were simply becoming too old for military adventuring. Though the Nigerian campaign is undoubtedly an unexpected “last hurrah” for many of these ex-SADF soldiers, their apparent success in reversing Boko Haram’s gains in Borno Province could encourage imitation in other African nations unable to deal with insurgencies. Surprisingly, what the South African episode reveals is that the Nigerian military is entirely capable of dealing with the Boko Haram threat if provided with leadership, training and equipment. The question is whether Nigeria can sustain an offensive led by Special Forces or bog down due to systemic problems within the Nigerian military that cannot be resolved overnight. The recent counter-strikes by Boko Haram militants suggest that the latter result may be the most likely. In the meantime, private military contractors continue to seek new battlefields while exploiting the apparent legitimization of their trade in Iraq and Afghanistan. In a recent interview, ex-Executive Outcomes director Simon Mann insisted that a 2000 man private military company could, with air and armor support, deal a decisive blow to Islamic State forces in Iraq. Basing his conclusion on the performance of the South-African trained mobile strike force in Nigeria and the success of his own Executive Outcomes combating insurgents in Angola and Sierra Leone, Mann suggests that Islamic State forces “are probably more terrifying than they are competent, and it all comes down to training and experience at the end of the day. We know that the Iraqi army were not being properly led, paid or equipped and that equates to disaster. How did anyone expect it to end? … Don’t get me wrong, [Islamic State forces] are probably very frightening up front, although I doubt they are as professionally trained as the rebels we came up against in Angola (Telegraph, June 4, 2015). Without imparting any ethical connotations to the terminology, private military contractors is probably a more accurate term for these modern “mercenaries” in that it reflects the corporate basis of these formations rather than an image of the individual freebooters that once filled mercenary ranks. See Piet Nortje, 32 Battalion: The Inside Story of South Africa’s Elite Fighting Unit, Zebra, 2006, pp. 8-9. This history of the unit is written from the perspective of a former regimental sergeant-major. See Adam Roberts: The Wonga Coup: Guns, Thugs, and a Ruthless Determination to Create Mayhem in an Oil-Rich Corner of Africa, PublicAffairs, 2007. Senegal’s Military Expedition to Yemen: Muslim Solidarity or Rent-an-Army? With Yemen’s Shiite Houthi movement now in control of most of Yemen, a Saudi-led military coalition continues to carry out air attacks on Houthi fighters and installations. Despite the participation of a number of national air forces, the total impact has not been enough to shake Houthi resolve. 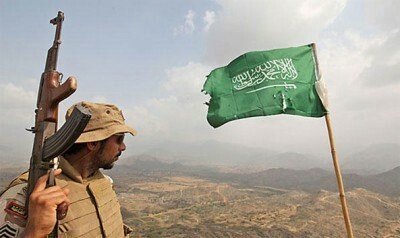 Though there is an apparent need to deploy ground forces to restore the administration of president-in-exile Abd Rabbo Mansur Hadi, most members of the coalition are reluctant to deploy ground forces in any significant number, being well aware of the difficulty of maintaining foreign forces in Yemen’s mountainous and ambush-friendly terrain. It was thus intriguing when Senegal’s foreign minister Mankeur Ndiaye announced on May 4 that the West African nation was sending 2,100 ground troops to Saudi Arabia in response to a request from the Saudi government. Surprisingly, the deployment marks the second time Senegalese troops will have served in Saudi Arabia; 500 Senegalese soldiers were deployed in Saudi Arabia during the 1990-1991 Gulf War. The mission was marred by a deadly plane crash in March 1991 in which 92 soldiers died. 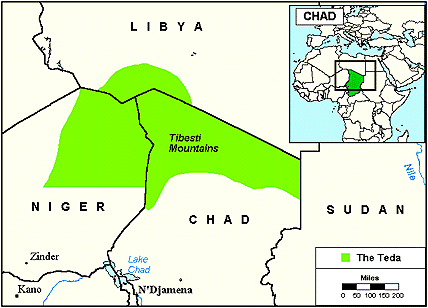 Despite the government’s claim that the jamdars (Wolof – “brave men,” the popular local term for Senegalese troops) will be protecting the holy cities of Mecca and Madinah, it is expected that the Senegalese will join the coalition attempting to secure the Kingdom’s southern border with the Houthi-held regions of northern Yemen. 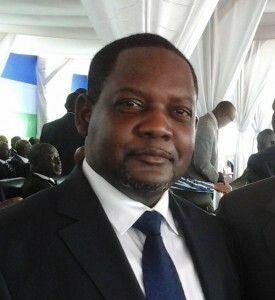 A spokesman for Senegal’s leading opposition party, the Parti démocratique sénégalais (PDS), declared that government suggestions that the deployment was intended to protect the holy cities “were baseless because the geo-strategic role of the Middle East is more complex than the protection of Islamic religious sites” (Xinhua, May 11, 2015). Social media in Senegal has questioned the deployment and some observers have noted the recent Saudi commitment to provide much of the funding for a broad government development scheme known as Programme Senegal Emergent 2035 (BBC, May 5, 2015). With an estimated cost of over $16 billion, the initiative remained badly underfunded until the Saudis stepped in. Senegalese president Macky Sall is relying on the programme’s success to return him to office. Senegal is a traditional recipient of Saudi aid, which funds many important development projects, but has never signed a defense agreement with Saudi Arabia. 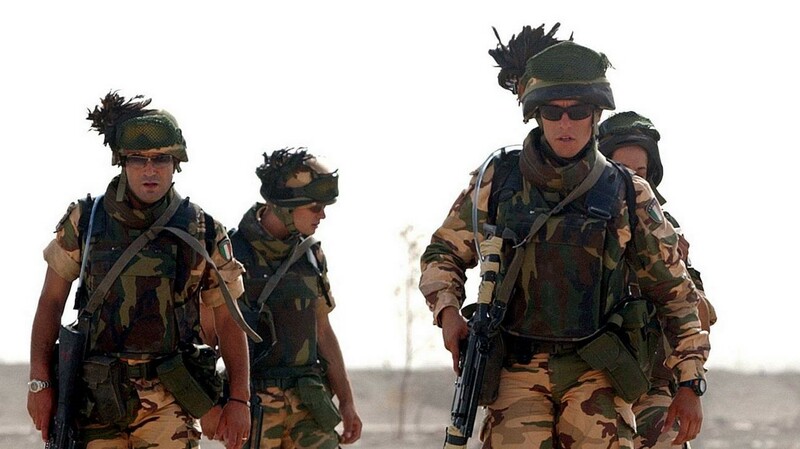 France continues to have a military presence in Dakar, but in line with a 2010 defense agreement between France and Senegal, this deployment has been scaled back from 1,200 troops to 300 (RFI, April 18, 2012). Senegal is not the only African state to join the Saudi-led coalition – Sudan, Egypt and Morocco have also contributed troops – but Senegal is the lone member that is not part of the Arab League. Sudan, a major recipient of Saudi aid and investment, has contributed four Sukhoi SU-24M “Fencer” attack aircraft that have reportedly flown missions against Houthi forces in Yemen (DefenceNews, April 1, 2015). Other members of the coalition include Bahrain, Kuwait, Jordan, Qatar and the United Arab Emirates (UAE). In a surprise decision, the parliament of Pakistan, a Saudi ally, voted against contributing forces to the coalition. Lacking a UN mandate, the Saudi-led coalition remains open to criticism that its intervention in Yemen lacks a legal basis. 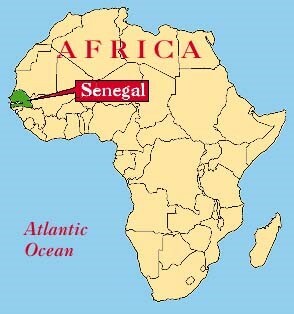 While President Sall insists the deployment is intended to “deal with the threat to the territorial integrity of Saudi Arabia and the Islamic holy sites to which the kingdom is home” (a fairly obvious effort to enlist the support of Senegal’s powerful Sufi brotherhoods), opposition figures have pointed out that neither the Kingdom nor its holy cities are under threat (The Star [Johannesburg], May 22, 2015). The administration does not appear willing to dissent on this issue; a May protest planned by Bou Jambar Dem (No to Sending Soldiers), a coalition opposed to the deployment, was banned by authorities. Further government attempts to suggest the deployment will be fighting “terrorism” did not quiet opposition criticism; Yemen’s Houthis are an armed social/political/religious movement rather than a terrorist group like al-Qaeda in the Arabian Peninsula (AQAP) or the Islamic State movement, neither of which are targets of the coalition despite having a strong presence in Yemen. Since independence, Senegal has joined military interventions in Zaire (1978), Gambia (1981) and Guinea-Bissau (1998). Senegal’s military has also made significant contributions to peacekeeping missions in Côte d-Ivoire, Darfur, Rwanda and the Central African Republic. Both the United States and France provide equipment and training to the Senegalese military, which has gained a reputation for professionalism reinforced by its traditional reluctance to insert itself into the nation’s political sphere. A report from the Saudi Press Agency on May 10 claimed that Malaysia had sent military forces to join the Saudi coalition, adding that the Saudi Ministry of Defense was planning to merge the Malaysian and Senegalese forces (al-Arabiya, May 10, 2015). However, Malaysia’s defense minister quickly corrected this report, noting that Malaysia was only sending humanitarian assistance and the personnel and equipment (including two Royal Malaysian Air Force C-130 “Hercules” transport aircraft) necessary to evacuate Malaysians working or studying in the Kingdom (The Star [Kuala Lumpur], May 11, 2015; The Diplomat, May 12, 2015). While Senegal is over 90% Muslim, its typical form of religious practice differs significantly from the Salafist Islam of Saudi Arabia. 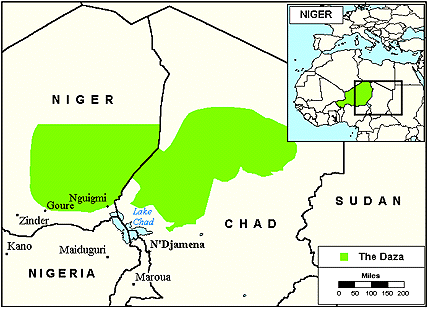 Both nations are majority Sunni, but Senegalese Islam is still largely based on membership in Sufi brotherhoods, a form of Islam generally despised by the Salafists, who claim Sufism incorporates pre-Islamic traditions, involves intermediaries in the relationship between God and man (usually in the form of deceased or living Sufi shaykhs whose spiritual power is hereditary) and encourages pilgrimage to shrines other than Mecca and Madinah, thus rendering Sufism a type of Islamic heresy in the eyes of the Salafists. Senegal’s Sufi brotherhoods include the well-known and internationally-based Tijaniya and Qadiriya brotherhoods, as well as two smaller local brotherhoods, the Muridiya (a.k.a. Mourides) and the Layenes. Both the latter orders originated in the 19th century. The Mourides are common to both Senegal and Gambia and promote pilgrimage to the Senegalese city of Toumba rather than Mecca. The Layene Brotherhood is a particularly unorthodox movement native to Senegal. The Layene’s founder and his successor claimed to be reincarnations of the Prophet Muhammad and Jesus Christ respectively and the group consequently mixes elements of both Islam and Christianity in its rituals. Al-Falah is a Saudi-influenced “apolitical” Salafist movement whose Senegal branch was established in 1967. Salafism and related forms of reformist Islam have a wide following in Senegal’s universities. At lower educational levels, there is a parallel system of government-run French-language, Western-style schools and Arabic-language Koranic schools that have little if any government regulation. Any foreign military deployment runs the risk of violent retribution, but in this sense Senegal is relatively fortunate in its choice of an enemy – the Houthi movement does not exist outside of Yemen and its host Zaydi Shiite community has displayed little ability or even interest in mounting attacks outside of Yemen. There is a small community of Lebanese Shiite traders in Senegal and an even smaller number of native Senegalese Shiites, none of whom are likely to have any connections with the Houthi movement, whose Zaydi “Fiver” Shi’ism has more in common with the Shafi’i form of Sunni Islam practiced in Yemen than with the “Twelver” Shi’ism of Iran and Lebanon (the “fiver” and “twelver” distinctions refer to the number of imams each movement believes succeeded the Prophet Muhammad as spiritual and political leaders of the Islamic community). However, Senegal might become a target for Sunni extremists due to its alliance with the Saudi government, which is reviled in turn as an ally and partner of the West by groups such as al-Qaeda and the Islamic State. Such groups might recall Senegal’s participation in the French-led military coalition that expelled foreign jihadists from northern Mali in 2013, an earlier deployment that had far from universal approval within Senegal. Unpopular military deployments in other parts of the Islamic world could have the unwanted result of encouraging domestic extremism, particularly amongst alienated urban youth. Renting state troops in Hessian fashion may not be necessary in the future if oil exploration work in Senegal turns out as expected. Scottish oil firm Cairn Energy is embarking on a major drilling operation it believes could result in the discovery of more than a billion barrels after promising results from initial offshore drilling (The Scotsman [Edinburgh], May 12, 2015). Arabic marbut or marubit; used in practice to denote an Islamic scholar of the Maghreb and Sahel regions, usually with personal followings that rely on the marabout for religious instruction, advice and the dispensation of supernatural powers through the production of amulets and talismans, a common practice in Africa, but one that is decidedly unorthodox. Cleo Cantone: Making and Remaking Mosques in Senegal, Leiden, 2012, p. 261. “Overview of Religious Radicalism and the Terrorist Threat in Senegal,” ECOWAS Peace and Security Report 3, May 2013, p. 5, http://sahelresearch.africa.ufl.edu/files/ECOWAS-Report-3-ENG.pdf. Shaykh ‘Abdul Qadir Fadlallah Mamour (Imam Mamour Fall): “Ya Asafa,” February 26, 2009, http://partiislamique.blogspot.ca/. 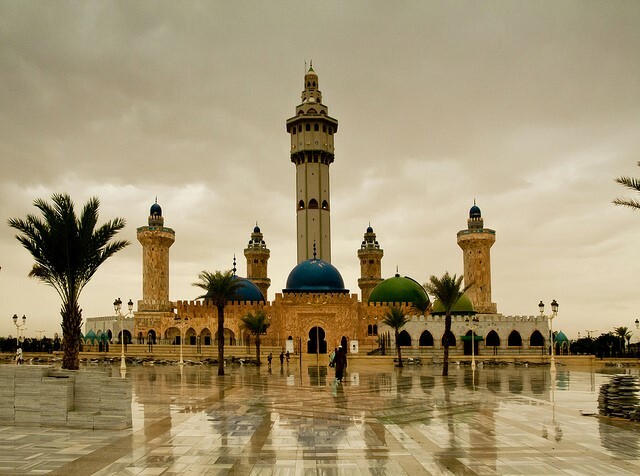 A Salafist view of the Libyan revolt has been offered in two interviews with a noted militant ideologist and contributor to prominent jihadi forums who uses the pseudonym of Shaykh Hussein bin Mahmud (Dar al-Murabiteen Publications, February 22; February 25). Shaykh Hussein describes the Libyan insurrection against Mu’ammar al-Qaddafi’s regime as a jihad, saying its aim is to “oust this idiot in order to spare the blood of Muslims and save their dignity.” The shaykh claims that jihad in Libya is now an obligatory duty (fard ‘ayn) for every capable person in Libya as well as Muslims in the neighboring countries of Egypt, Algeria, Chad, Sudan and Niger. Shaykh Hussein points out that Libya’s unconventional government structure (the Jamahiriya) has created a problem for the West in trying to identify an appropriate candidate to rule Libya “according to their desires.” Whereas in Egypt and Tunisia the ruler was removed and the government stabilized, there is no government in Libya outside of Qaddafi. In Egypt and Tunisia, this process has resulted in rule now being back in the hands of the former government. Shaykh Hussein refers here to unverified reports carried in the Iranian and Arab press that Israeli security firm Global CST received approval from the head of Israeli intelligence and Defense Minister Ehud Barak to provide Qaddafi with 50,000 African mercenaries. The reports allege the Libyan side of the contract was handled by Abdullah al-Sanusi, Libya’s intelligence chief and brother-in-law of Qaddafi (Press TV, March 2). Global CST, or Global Group, was founded in 2005 by Major General Israel Ziv and carries out “security and commercial large-scale projects” in South America, Africa and Eastern Europe, according to its website. No evidence has been provided to support the allegations.